► GOV. BILL LEE today issued his 1st Executive Order, directing 22 executive departments to issue statements of their rural impact by May 31 and to produce proposals to better serve rural Tennessee by June 30. He said "rural areas will be prioritized across all departments." Further initiatives by the governor are expected to accelerate plans to address needs of 15 distressed counties, in particular. Today's move was in-line with his election-year pledges regarding the Tennessee rural economy and quality of life. Release here. ► CLARITAS Opportunity Fund V closed at the $20MM mark, with 42 investors aboard, according to the VC's recent Form D here. Fund IV closed at $40MM two years ago. Previous Opp Fund reports here. Other Claritas coverage here. THE DSP GROUP, the 12-year-old fashion-industry solutions and services provider based in Nashville and in Los Angeles, is preparing to raise $4MM in equity capital and up to $1MM in debt. Founder/CEO David Perry established an office here several years ago, but is now scouting the Nashville area to establish The DSP Fashion Apparel Manufacturing Center, including a studio, showroom and factory in the Greater Nashville area. The DSP fabric showroom would be the largest such operation located between New York and Los Angeles. He added that as a result of years of work with corporate brands and performing artists, he has a substantial sales pipeline focused exclusively on knitwear (leisureware, fashion knits, athleisureware, etc.). Interest has been further spiked by global import tariff volatility, increased interest in producing goods in the U.S., and by major apparel brands seeking to demonstrate greater design/production sustainability. Perry confirmed that, after months of detailed financial and operational planning for expansion of his business in MidTN, he is actively discussing the matter with potential investors in his bi-coastal networks, but he remains keen on having Nashville investors onboard. Perry said he has had encouraging discussions with State of Tennessee and local economic development officials, industrial development board representatives, experts on the new Opportunity Zones and others. Plans call for DSP manufacturing using solar power, leveraging a TVA program. Perry is preparing to pursue certification as a B Corporation. The company's operations are to be fully "transparent" with respect to legal employment of workers, safety, working conditions; environmental sustainability; sourcing of cotton and other materials, and other issues. He said in the course of more than a decade, he has amassed a "trusted network" of raw material producers, fabric mills, sewing contractors, dye houses, pattern makers and others. Perry's LA-based partner in the business is Jaime Laurent Esq. 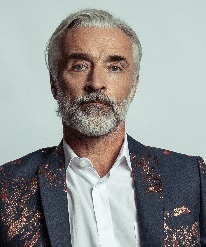 Perry, a U.S. citizen born in Devon, England, previously served on the board of the Nashville Fashion Alliance. 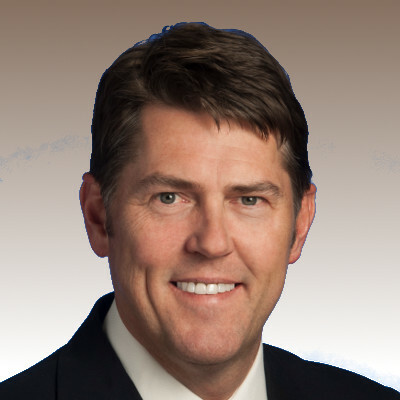 ► STATE Sen. Shane Reeves (R-14-Murfreesboro), newly elected in November, is 2nd Vice Chair of the Senate Health and Welfare Committee. 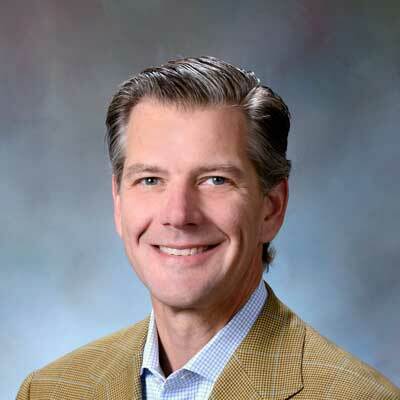 Reeves, who is founder and CEO of Murfreesboro-based TwelveStone Health Partners, confirmed Friday that he intends to advance awareness and discussion of medical interoperability and related issues among his colleagues in the General Assembly. His early goals include determining how best to communicate about such technical issues, in the legislative context, and he's likely to begin by discussing the matter in small gatherings. His thesis: Quality outcomes at manageable levels of cost are more likely to be achieved when all parties have access to needed data. Related MedInterop coverage. 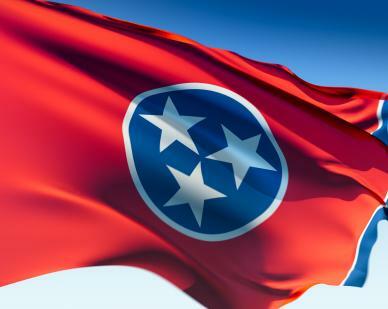 ► NASHVILLE-based Ponder & Co., the healthcare financial advisory firm, has been ranked as the No. 1 financial advisor in new healthcare debt issuance, according to Thomson Reuters' 2018 Municipal Market Analysis. ► URGENT TEAM HOLDINGS of Nashville filed in October for a nearly $7.4MM raise, with some Pharos Capital execs associated with the filing. CEO: Tom Dent. Related coverage here. BTC INC., the Nashville company that is active nationally and internationally in blockchain- and bitcoin-oriented content, technology development, proof of concept, venture and other lines of business, filed Dec. 28 for a $10MM capital raise. BTC Co-founder and CEO David Bailey told VNC yesterday that recent bitcoin (btc) price trends played no role in the company's undertaking its Series A financing, which "has been a priority since beginning of 2018." The round remains open. Proceeds will be devoted mainly to "narrowing our burn [rate], bulking-up our core media business as we muddle through a potential multi-year bear market, and ensuring we're well position to ramp in 2020-2021" as warranted, Bailey said. Earlier BTC/BTCMedia coverage here. 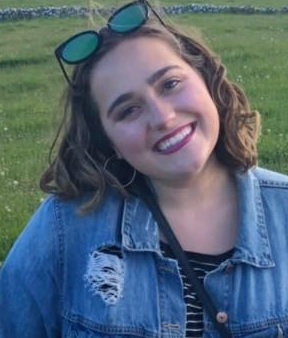 SARAH BETH PERRY, a 22-year-old set to graduate this spring from Belmont University with majors in Music business and entrepreneurship, said that by 2Q19 she is likely to begin pursuing friends, family and Angels for investment for her fan-engagement startup, With the Band. Perry currently holds 100% of equity and has no other founders or team members, at this time. 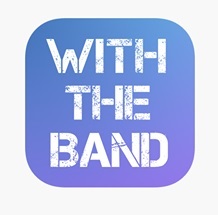 Her social app for fan projects and meetups hit the Apple store earlier this month (first-posted: a poster-making gathering for Sam Hunt fans at Edley's Bar-B-que), and her trademark app will soon be published for opposition. In the past two years, while a full-bore student, she's won $25K cash by pitching her business during LaunchTN's 36|86 Festival, during a Belmont business plan competition and elsewhere. She also completed the Pre-Flight program and has joined the latest InFlight cohort at the Nashville Entrepreneur Center. Her new app was developed under contract by Ben Gotow, a Vanderbilt University and Carnegie Mellon degree-holder now resident in the Bay Area and operating as Foundry 376. Beta activities and initial marketing are to begin in coming weeks. Once feet-wet in the meetup space, Perry said she'll move on to fan-artist experiences, artist-driven projects, street-team deployment and recruitment, and possibly a platform for artist-hosted fanclubs. In-app advertising aligned with artists is in-the-offing. She has no plans to dive into event marketing and ticket sales. Competition includes NYC-based Bkstg, which Crunchbase says has raised at least $20MM. For legal, she relies on Nashville entertainment lawyer Barry Shrum. She has a wide informal network of professors, superfans and others, and her father, Ken Perry, is a serial HIT entrepreneur. Asked about exit scenarios, she said she expects to drive the company for 5 to 10 years before a likely strategic exit. ► KNOXVILLE Entrepreneur Center (KEC) Executive Director Jim Biggs told VNC he believes local startup Blühen Botanicals LLC is but one example of increased East Tennessee entrepreneurial and grower interest in producing products derived from processed industrial hemp biomass, including the cannabinoid CannaBiDiol (CBD), a non-psychoactive cannabinoid the company says "can be used as a daily supplement to contribute to overall health and wellness." On Feb. 25, 2019 SOL Global sub HeavenlyRX announced it will invest $30.6MM in Bluhen. Bluhen returns as sponsor of the 2019 Southern Hemp Related coverage. Blühen was a sponsor of Southern Hemp Expo 2018, in Nashville, among other events. 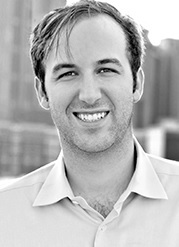 CoFounder/MP: Joe Fox, who is also a licensed affiliate broker with a real estate group. More broadly, KEC's Biggs said the Knoxville area's entrepreneurial ecosystem is increasingly well networked. And, while increased access to early-stage capital is an inevitable need, Biggs said the KEC is focused (in addition to its year-round programming) on attracting more Tech and other talented individuals with interest in working inside startups; and, on finalizing an opportunity to move from its current 2,500 sq. ft. office to a roughly 20,000 sq. ft. facility that it has its eyes on downtown, in the interest of executing more and larger offerings. How to fund renovation and buildout is still being pondered. Before interest in CBD/Hemp spiked, it was beer and alcohol brewing and distilling businesses that seemed to be proliferating apace, he said. The city has also seen some "great exits," including GridSmart and Cirrus Insight, and milestone capital raises by the likes of General Graphene. ► ANANDA Scientific (Denver) is pursuing development of "non-psychoactive and non-abusable, oral cannabinoid products" to address healthcare targets, and recently filed to raise up to $5MM, with Nashville37215-based "S. Bryan Wilson" shown as associated with the filing. Vanderbilt University Law School today announced receiving a new $12.75MM gift to support the school's Law and Business Program, which prepares students to enter legal practice with a solid understanding of business law, corporate management, accounting and finance. The commitment is from alumnus and former Vanderbilt Board of Trust chairman Mark Dalton, JD'75. VU release here. ► ALL 14 universities that are members of the Southeastern Conference (SEC) have been accorded Research 1 (R1) status by the Carnegie Commission on Higher Education. The 14 institutions are Alabama, Arkansas, Auburn, Florida, Georgia, Kentucky, LSU, Mississippi, Mississippi State, Missouri, South Carolina, Tennessee, Texas A&M, and Vanderbilt. Release here. Related. ► TN ECD is now taking applications for state underwriting of production of County-level economic-development videos and presentations, with apps due-in not later than Feb. 19. A total 12 county proposals will be selected, with no more than two (2) commitments to be made to Tier 1 counties, and the balance to Tiers 2-3-4 counties. Details here. ► APPLY BY FEB. 8 for Emerging Leaders in Technology (ELITE) cohort for 2019, developing technologists for leadership roles, details at Nashville Technology Council. Details. ► THREE Chattanooga firms are among the total nine startups inducted into Techstars Austin 2019: Pass It Down -- Woorly -- CPR Wrap. ► CHATTANOOGA's Smart City Collaborative will be recognized as one of the nation's Top 50 Smart Cities initiatives, during the Smart Cities Connect Conference & Expo, held in conjunction with the US Ignite App Conference in Denver. Chattanooga is featured in the Horizon category of awardees, who are deemed to have demonstrated "foundational and inspiring groundwork for future smart cities projects." ► MEMPHIS-based Frontdoor (NYSE:FTDR), a ServiceMaster spinoff, said it appointed CTO Piras Thiyagarajan, who has prior experience with Amazon and Google units. He holds an MBA from the Haas School at UC-Berkeley, plus a master's and a bachelor's in computer engineering from Santa Clara University and from the University of Pune, India, respectively. ► NTELLISIGHTS, the Chattanooga firm and SaaS solution spun-up by Chattanooga's year-old investor Transparency Health -- drawing on Knoxville-based PYA Analytics' technology -- is now Chattanooga-based and draws its team from both its sponsors. NTELLIIGHTS is a turnkey predictive analytics and SaaS solution that employs machine learning and artificial intelligence to enable hospitals to reduce costs, support better outcomes and drive revenue through the Hospital Readmissions Reduction Program. Transparency's bets are backed by $30MM allocated by Noon Development. It has previously invested in Utilize Health and in Motivo. ► INSCorp. (OTCQX:$48.2MM market cap), a Nashville-based bank holding company for InsBank recently filed for a $15MM debt offering; in 2016, the company filed for a $13MM equity offering. ► HEALTHSTREAM (NASDAQ:HSTM), Nashville's only publicly held healthcare workforce and provider solutions company, recently said it acquired Denver-based Providigm, which offers abaqis(r) an SNF-oriented quality improvement solution; launched the American Red Cross Resuscitation Suite; and, signed a 3-year continuity of service agreement with RQI Partners, a JV between Laerdal Medical and American Heart Association. ► AGBIZ: High-tech-oriented Indigo Ag (HQ: Boston) announced it's making Memphis the center of its North American commercial operations offices, partly to be closer to agricultural growers. Total jobs in Memphis could reach nearly 900 within three years. Tom Bailey of Daily Memphian updates here.